After years of cleaning gutters and installing gutter guards, we have come to the conclusion that cleaning gutters is a hassle and gutter guards simply don’t work without routine maintenance. For this reason, we have come up with a simple and logical solution. With the Gutter Maintenance Services Property Protection Plan, we are solving all gutter related problems with one simple process. 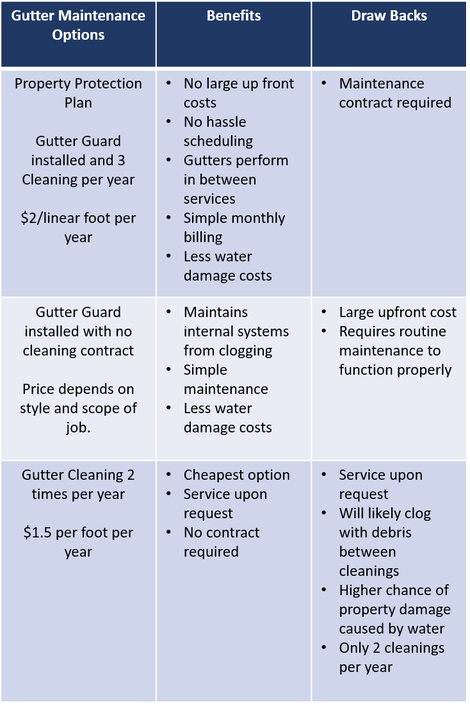 First, we clean, repair, or replace your existing gutter system at discounted rates. Then, we install a sturdy functional gutter guard at no cost to you with the commitment of a 3-year roof and gutter cleaning contract, billed monthly. The Protection Plan includes 3 cleanings annually, during which we remove all loose debris from affected roof areas and provided gutter guard system, and treat the roof for moss. 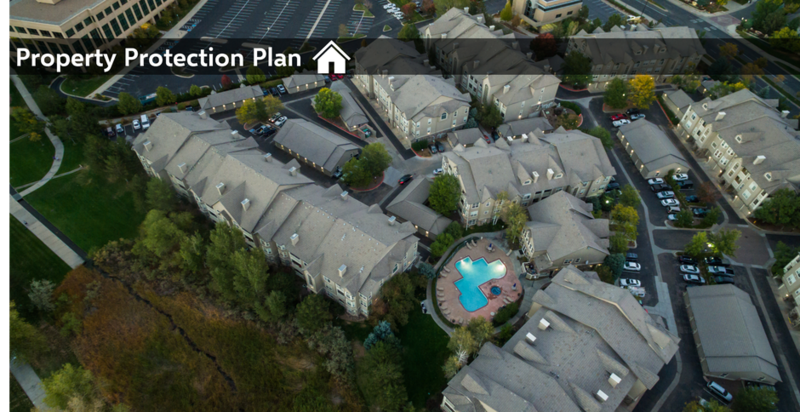 Our Property Protection Plan relieves you, as the property owner, from having to remember to clean your gutters. It keeps your system working properly and prevents expensive water damage.